Solar racking on carports is an innovative way to derive clean energy, reduce other energy costs, and keep cars and people shaded, and the Cummins carport project met all these goals! Contributed by | Schletter Inc.
Not all solar energy applications for businesses are created equal. Off-the-shelf solar energy panels simply don’t work for many sites because of custom requirements. The project commenced in September 2017. The Cummins carport is a 279 kW project with the potential to expand to 1.1 MW in the future. By using advanced production methods, Schletter created longer spans between foundations, reducing costs and simplifying the process. Best of all, no on-site welding or cutting was necessary to construct the solar carport. The anchors and bases were on site in less than a month, and the Park@Sol racking was delivered in late November. The system was completed and fully operational on December 30, 2017. It was a quick turnaround, but Schletter was proudly able to meet the customer’s tight timeline and budget. 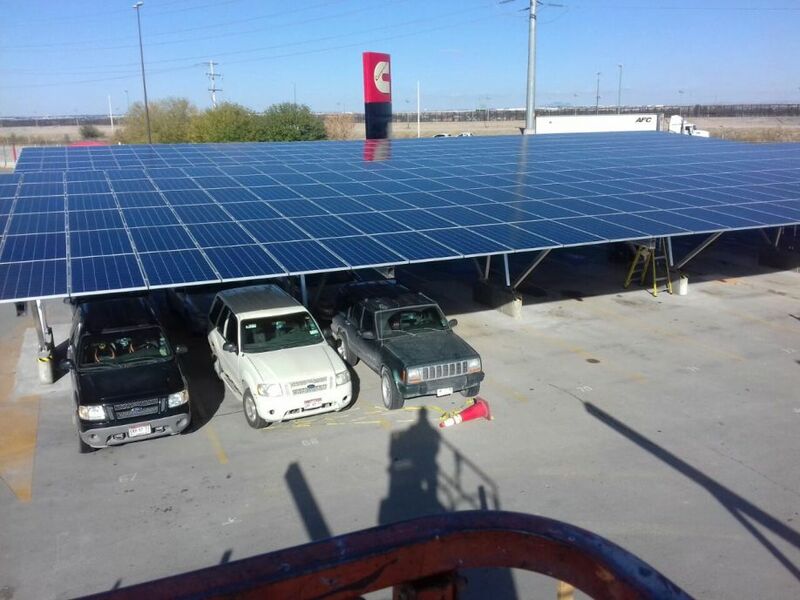 Solar racking on carports is an innovative way to derive clean energy, reduce other energy costs, and keep cars and people shaded, and the Cummins carport project met all these goals! The project is projected to save 6.278 tons of CO2 from being released into the atmosphere, the equivalent of planting 162,475 trees. Taking into account inflation and depreciation, Cummins expects to see a return on investment in less than six years. And great savings throughout the 25 years of life expectancy of the installation. Bojorquez adds, "We are very satisfied with Schletter and Park@Sol. We are excited to work on a similar project very soon." 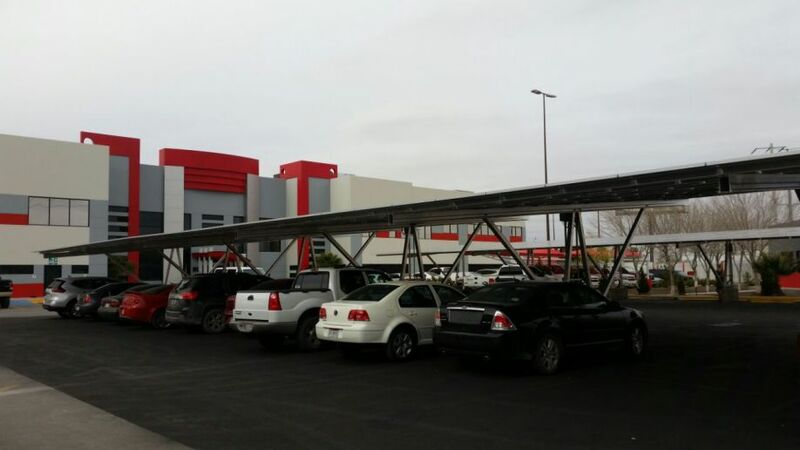 The most versatile solar carport solution available, the Park@Sol carport aluminum racking system offers numerous benefits including structural engineering support with complete drawing packages for customer. These carports can also be used for single or double rows of parking. Schletter systems are compatible with most module types, orientations, and inclines up to 20°. Foundation options, including cast-in-place concrete ballasts, concrete pillars, and micropile integrations, enable a durable, optimal installation. The corrosion-resistant aluminum construction requires minimal maintenance. And less concrete material is needed to accommodate high wind and snow loads, resulting in a highly cost-effective system with a streamlined design.